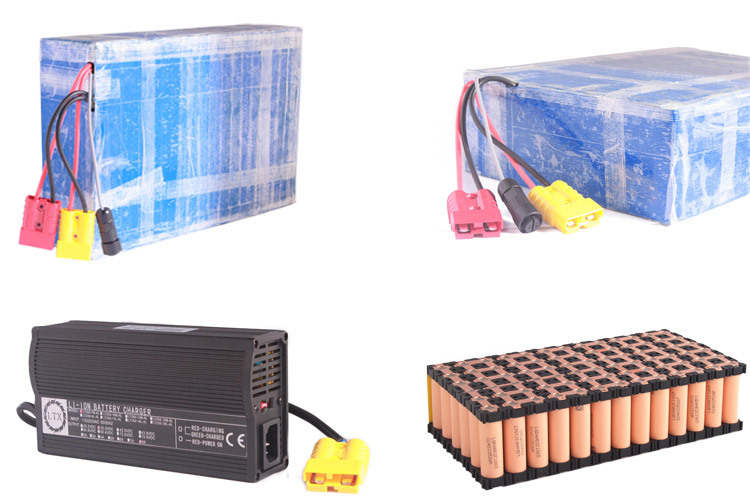 Introduction: (keywords: 24V/40Ah high power battery pack for AGV) The 24V/40Ah battery pack product is designed to provide power for AGV, which has the advantages of long cycle life, low self-discharge rate, excellent deep discharge ability, high charging efficiency, strong power, good seismic capacity and low maintenance. PCM:Over charge protection, over discharge protection, short circuit protection, over current protection and temperature protection to avoid explosion of chargeable lithium battery. Protection IC:Monitor battery operation to protect over charge, over discharge, over current and short circuit. Temperature Switch:Over-heating protection, when battery temperature reaches 75 degree, switch will turn off; when battery temperature goes down, switch will turn on automatically.